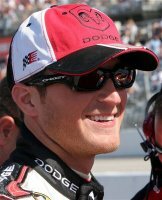 Congrats to Kasey Kahne for winning yet another pole this season. 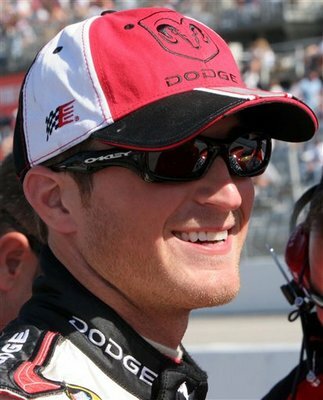 That’s 3 poles in point races (Atlanta, Texas, Darlington) and now the pole for the All-Star Race which makes 4! Unfortunately, I was able to watch Elliott’s qualifying run…DAMN!! I am so sad! I guess I didn’t eat enough M&Ms today. I am hoping Elliott can race his way in if not he hope he is voted in. 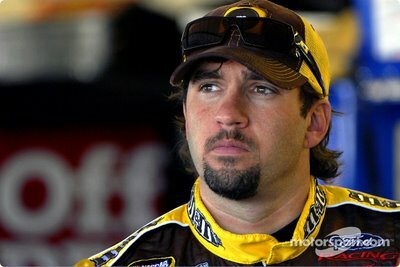 The race commentators mentioned that Elliott was one of the top three vote getters with Kyle Petty and Martin Truex Jr. There were quite a few cars that spun out as well as a few trucks. Hopefully, the resurfacing did its job. We shall see with the truck race. Congrats to Erin Crocker for qualifying 2nd for the truck race tonight. She is the first woman to qualify for the front row in a truck race. Good Luck Erin! I am now going to have bite the bullet and subscribe to Sirius satellite radio. Beginning January 2007, Tony will have his own show on Sirius radio. Preview editions of Tony Stewart Live will run October 2006.